Georgie Stone grew up as a typical girl. Loved playing dress ups, picking flowers and dancing. She had long brown hair and insisted that she was a girl. Except, she wasn’t. She was born as a boy, George. After battling years of bullying, Georgie didn’t let that bring her down. She stood her ground, stood up for what she believed in and rose above every time. 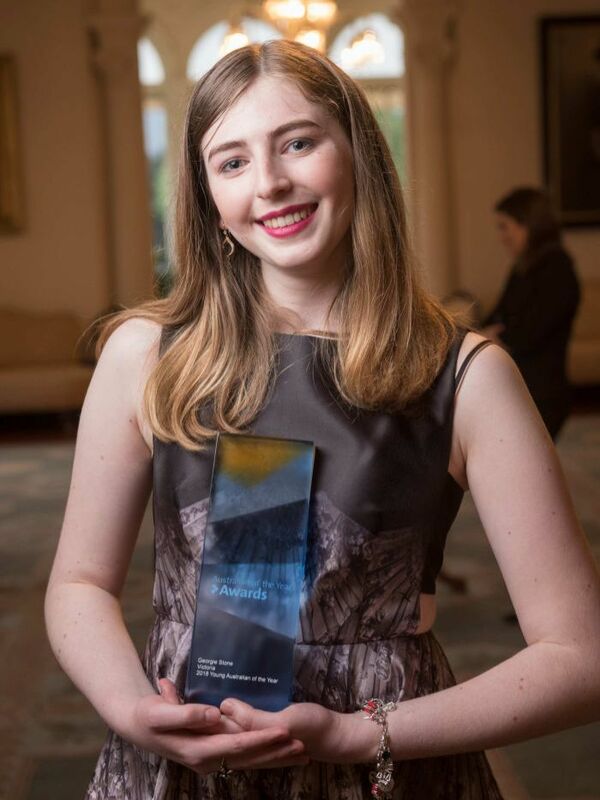 At the age of 11, she became the youngest Australian to be granted permission from the courts to access puberty blockers, which would stop her face from ‘masculining’ and her voice deepening and facial hair. 7 years later, Georgie is now an incredible young women who is an extraordinary advocate for transgender teens. Last year, Georgie started a petition to help other young transgender Australians. After traveling to meet MPs, her petition reach 16,000 names and Georgie became an inspiring teen that helped changed the life of many people. In November, it was decided that young transgender individuals in Australia will no longer have to go through the nation’s Family Court to access hormone treatment. “I’m hoping that by seeing my story, [viewers] will see a happy, free 16-year-old girl who has come out the other side,” says Georgie. Would you like to stay up-to-date on our news + events? GET 10 TIPS FOR HEALTHY, HAPPY TEEN GIRLS! Receive our free tips + we'll keep you updated on the latest Shine From Within courses, news + fun! We'll keep in touch once or twice a month. You can download your freebies instantly HERE. Enjoy! GET ORGANISED WITH OUR FREE DAILY PLANNER! GET INSTANT ACCESS TO THE FREE VIDEOS NOW! CLICK HERE TO VIEW VIDEO 1. HAVE YOU GOT WHAT IT TAKES TO BE A YOUTH MENTOR? Take our quiz to learn about your Youth Mentor Archetype + suggested ways for you to work with teens in our free eBook!